Zucchini Parmesan Crisps were a big hit with my family! 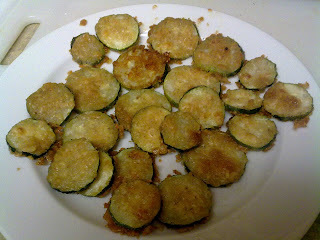 We tried them out on one of our cooking nights with the extended family and these were gobbled up. The recipe came from a Facebook friend, but I think it originated on a page called Gregg's Skinny Friends - Health & Weight Control. Preheat oven to 400 degrees. Line two baking sheets with foil and spray lightly with vegetable spray. 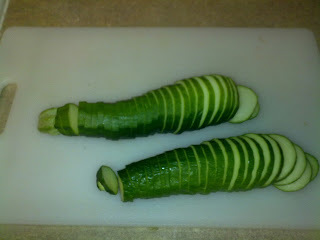 Slice zucchini or squash into 1/4 inch-thick rounds. Toss rounds with oil, coating well. 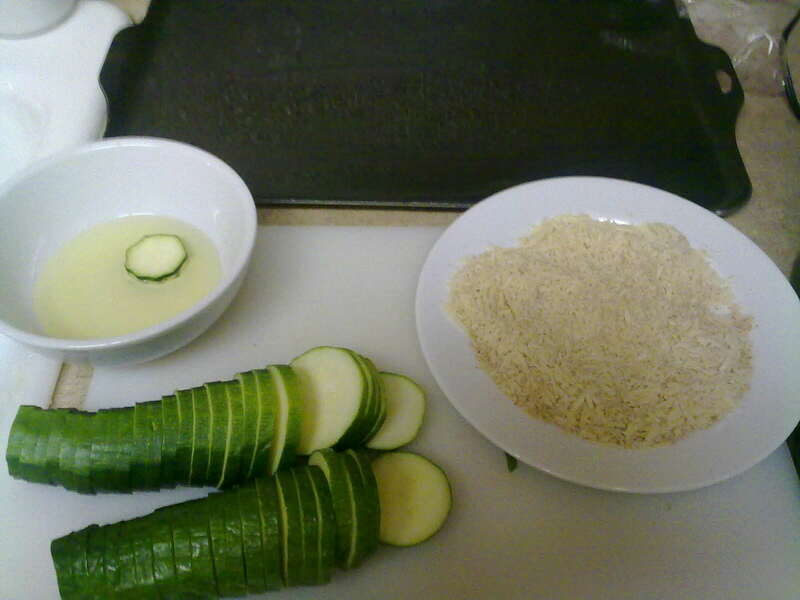 In a wide bowl or plate, combine breadcrumbs, parmesan, salt and pepper. 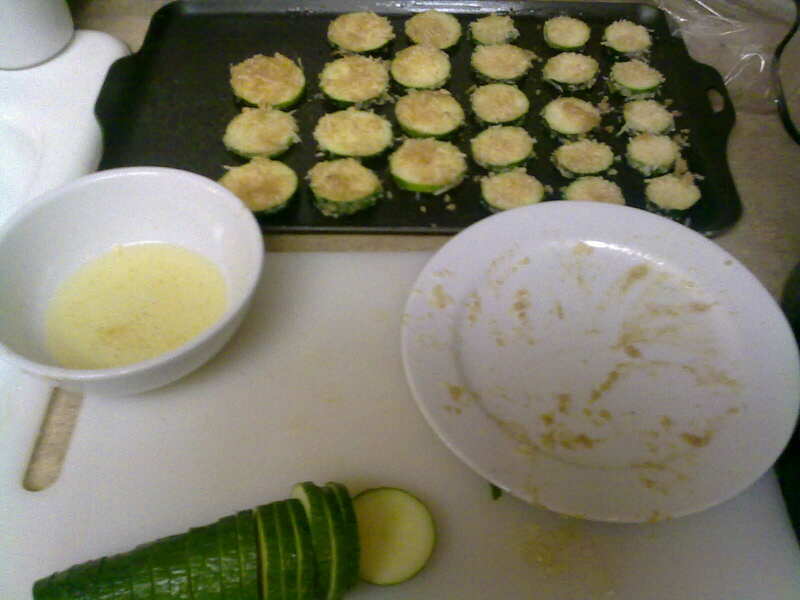 Place rounds in parmesan-breadcrumb mixture, coating both sides of each round, pressing to adhere. The mixture will not completely cover each round, but provides a light coating on each side. Place rounds in a single layer on baking sheets. Sprinkle any remaining breadcrumb mixture over the rounds. DH as already asked for these again - so I'll probably make up a tray this weekend.